The purpose of the Voter Registration Card is to verify your address and notify you of your correct polling place and voting districts. It is not necessary to present your Voter Registration Card at the polling place in order to vote. 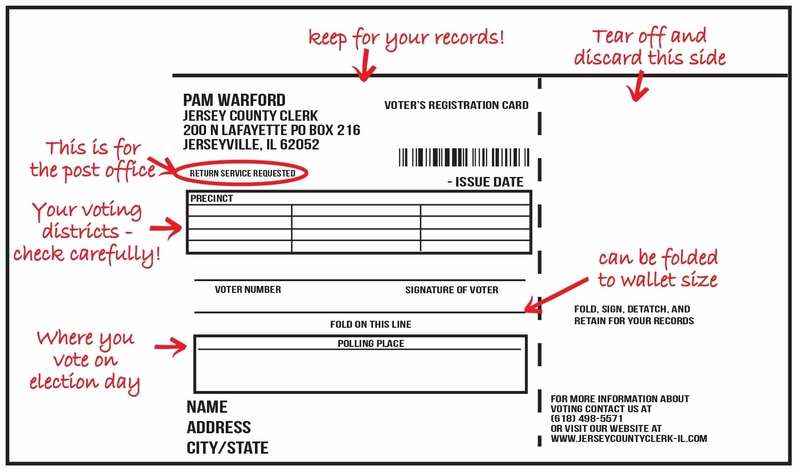 If you did not show sufficient proof of residence when you registered to vote, you may be asked to show a Photo ID such as a Driver’s License the first time you vote. 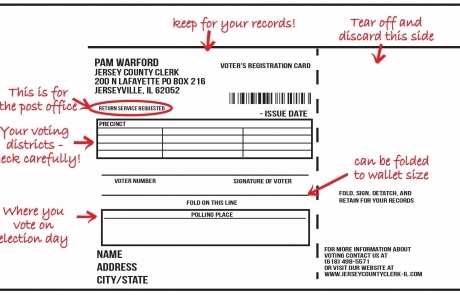 Our office now prints and issues Voter Registration Cards in-house. 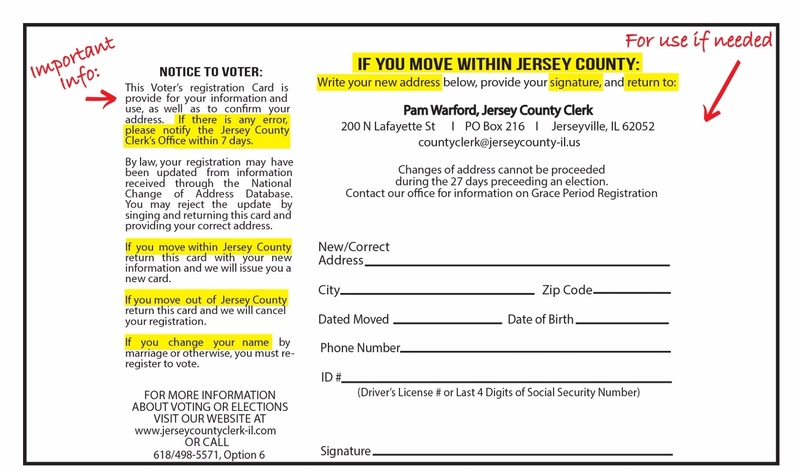 If you would like a replacement Voter Registration Card, please stop by or notify our office. 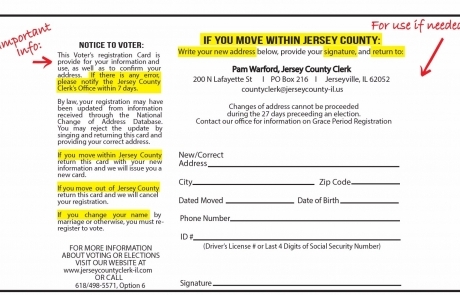 In October of 2017, new cards were mailed to all active registered voters as part of a “purge” of our voter rolls as prescribed by law. The next purge will be conducted in 2019. If you have questions about this process, please feel fee to contact our office.